Reflo runs a robust Green & Healthy Schools Program. In 2018 alone, we helped shepherd construction of green infrastructure projects at two Milwaukee Public Schools, supported coalition efforts to raise $1.2 million for greening schoolyards, designed five conceptual plans for green schoolyard redevelopment, and conducted the third annual Green Schools Conference featuring over 260 participants. Reflo's 2017 review of MPS stormwater fee assessments also unlocked funds to support a Sustainability Project Manager for MPS. 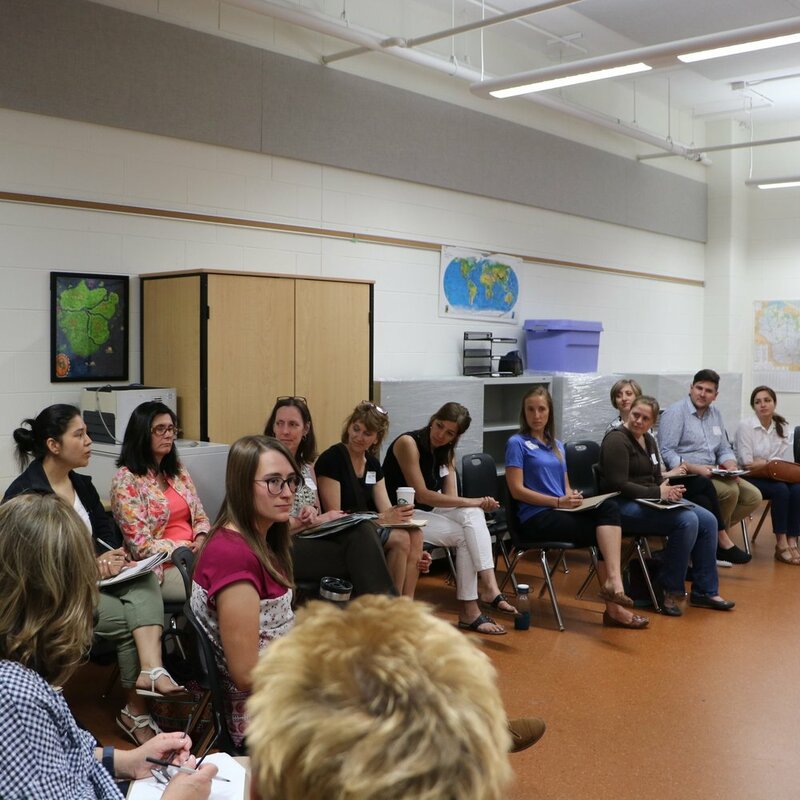 Reflo administers the Green Schools Consortium of Milwaukee (GSCM), a network of K-12 educators, nonprofit and for-profit environmental professionals, and institutional and philanthropic entities with interests in triple-bottom-line green infrastructure projects supporting schools. The GSCM list reaches over two hundred members, there are bimonthly meetings, and an annual conference hosted by a Milwaukee Public School. Reflo works with five Milwaukee-area schools per year in an intensive, collaborative process to design greener, healthier schoolyards. 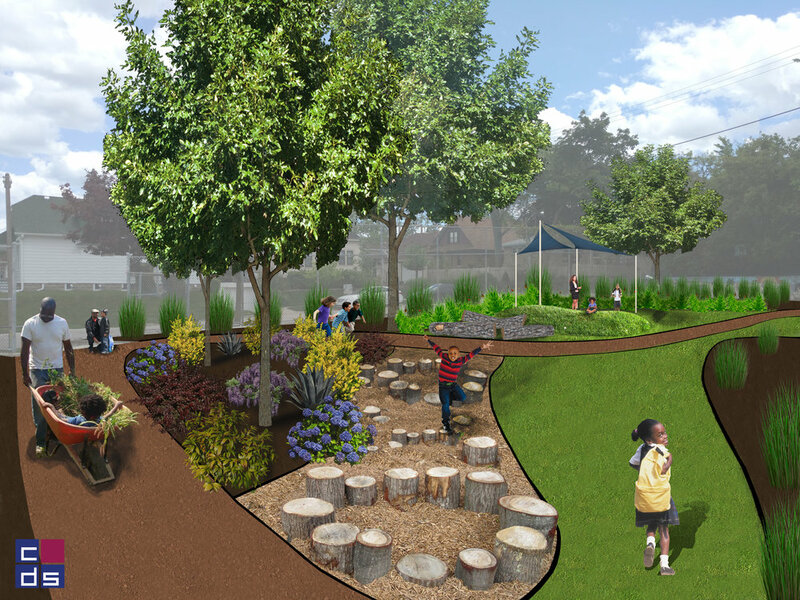 Each project is tailored to the specific needs and enthusiasm of the school’s community but often involves replacing seas of asphalt with green spaces including bioswales, rain gardens, and trees. The placemaking designs go beyond simply removing pavement, however, to maximize triple-bottom-line benefits. Earn points for your school in the EcoLiteracy Challenge, which conveniently bundles Milwaukee-area Water and Sustainability Curricular Activities. Educators can find a variety of tools to help engage their students and foster ecoliteracy and connection to the natural world. Students and Family Members can find ways to support their school and reduce their environmental impact at home. Organizations can share the resources they have to offer.